Who will be the next Texas Speaker. Manny Conservatives claim that Texas House Speaker Joe Straus is not a true conservative. This is reminiscent of the Republican state convention in Fort Worth last summer. Where the shouts of oust Straus where very prevalent. But who is Joe Straus? Born Joseph R. Straus, III on September 1, 1959 After witnessing his fellow Republicans lose three House seats in the November 2008 elections, Straus decided to run against then Speaker Tom Craddick (born 1943) of Midland, the senior Republican in the Texas House. Dissent against Craddick had been brewing in the Texas House. The latest round of disappointing election results hurt Craddick's standing with his Republican colleagues. Shortly after New Year's Day, eleven House Republican members, including the late Edmund Kuempel of Seguin, met in the Austin home of Representative Byron Cook of Corsicana (ten in person and one via webcam). Each wanted an alternative to Craddick. After four rounds of secret balloting, with state and local media hanging around outside in the neighbors' lawns, Straus emerged as their challenger to unseat the Speaker. Over the next several days, the group, dubbed by the media as the "Gang of 11", set out to garner the required minimum of 76 votes (of the 150 members) to achieve their mission. After several days of phone calls, e-mails, pledge cards and signature gathering, Joe Straus announced on Sunday, January 4, 2009, he had enough votes to win the job. By the following evening remaining opposition to Straus conceded. After securing his position as House Speaker, Straus proceeded to appoint Democrats to 16 of the House's 34 chairmanship positions. San Antonio Democrat Mike Villarreal said that Straus brought "the right temperament [to the Speakership]. After three sessions of Tom Craddick, the House was ready for a change. "Frank Corte, Jr., a San Antonio Republican who had been committed to retaining Craddick as Speaker, said that Straus "has a different leadership style, there's no doubt about it. He has an indirect way of handling things. He doesn't weigh in heavily at first." Straus' rabbi, Barry H. Block, said "If people underestimated Joe, they'll stop now." An aide said that Straus "doesn't like to label himself on social issues. . . . He considers himself pro-life, just not a proselytizing one. . . . He sees the big picture -- jobs, economy, education." Another Republican, Leo Berman from Tyler, had indicated an intention to run for Speaker, but has pulled out and is now endorsing Warren Chisum, a Republican from Pampa, who unsuccessfully challenged Straus for the Speaker's gavel. McKinney Republican Ken Paxton has also sought the position. Manny conservatives have found it difficult to file conservative legislation during the last session and there where two more candidates to file against Straus Bryan Hughes and David Simpson. however Hughes withdrew and through his support behind David Simpson. David is a seventh generation Texan. He was born in Lubbock and grew up in Dallas, spending summers and weekends in East Texas at the family’s home place in Avinger, where his family settled in the mid 1800s. David and his family have lived in Longview since 2000. David Simpson was elected State Representative of House District 7 in 2010, defeating a seven-term incumbent, by running on a platform of defending the Constitution, preserving our East Texas family values, and restoring government to its proper, limited role. He was re-elected in 2012 by a large margin. District 7 is comprised of Gregg County and northern Smith County and includes the cities of Longview, Kilgore, White Oak, Gladewater, Liberty City, Lindale, Hideaway and Winona. However, after redistricting, District 7 will be comprised of the entirety of both Gregg and Upshur Counties. 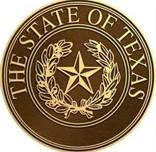 In only one session, Simpson earned the “Taxpayer Champion” award from Texans for Fiscal Responsibility and the “Freshman of the Year” award from Young Conservatives of Texas; he was also named “Co-MVP of the Freshman Class” by Capitol Inside for his effectiveness as a legislator. Rep. Simpson has been endorsed by many conservative leaders and is the TEA Party favorite for the Speakership. While Joe Straus is Supported by Democrats Like Lon Berman and moderate Republicans Like Jim Keffer of Eastland, or Rob Orr of Burleson. NEWTOWN, Conn.—. Multiple people have been killed in a shooting at an elementary school. The number of dead is unclear, but there are at least 20 shooting victims. Todays Actions in Connecticut are deplorable kids murdered in cold blood. Kids taken before their time. But we must not rush to claim (what if we had a hand gun ban). No we must morn and celebrate that the Innocent lives that where. Not pass legislation to make us less safe. I am now convinced more now than ever. We must pass open carry then maybe the criminal element in this country that uses guns to kill will either think twice or get what they deserve before 27+ people 18 kids get murdered by home grown Terrorist. I wish to offer my condolences to the families my God be with you in your grief. Is the United States Headed to War in Syria? Mediterranean Sea- With the Moving of the USS Eisenhower Moving into the Eastern Med. Are we headed for war in Syria? The USS Eisenhower has a complement of 8,000 Sailors & Marines and Eight Bomber wings. With it moving into the Eastern Med it joins the USS Iowa Jima. the Iowa Jima has a complement of 2,500 Marines attached to an assault force. Syria-President Assad continue with his efforts to load biological and chemical weapons aboard bombs, the White House has repeatedly warned the Assad Regime that continued escalations would be met with swift and devastating consequences. So I ask Are we Headed to war in Syria? Is the Time now to replace Speaker Boehner. Washington DC- the latest counterproposal has not faired well with conservative GOP leadership in Washington. Many are even calling for Rep. John Boehner's' ouster as Speaker. Groups like Americans for Prosperity, American Majority And freedom works. Even strong conservative Reps like Rep. Louie Gohmert (R-Texas) said in an Interview with Fox News ( John Boehner's counter is a non starter. American Majority has even called for Boehner to be replaced as Speaker. Many House Republicans said "John Boehner doesn't have the stomach for a fight". The only polling showing the Americans Blame Republicans for going of the Fiscal cliff is the Media based polls. In many Independent polls it shows the Democrats in the Senate are to blame for not producing a budget for the last 4 years. Fillibuster here, nuke option there. What Will Conngress do? 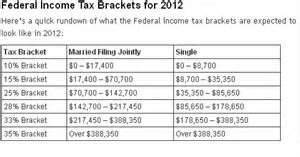 The next picture is the Rate, after we go off the fiscal cliff. We are still in crisis mode as Lawmakers start to wind down for the Christmas break with nothing agreed upon as of yet. The Democrats blame the Republicans, and the Republicans blame the Democrats. While the American People blame both, they demand a compromised deal. Gov. Rick Perry sent a letter to Texas Education Commissioner Michael Williams asking him to defer until the 2013-14 school year the requirement that an end-of-course assessment count as 15 percent of a student's final course grade. The governor also applauded Sen. Dan Patrick for filing legislation to give school districts permanent flexibility. "This week we received the excellent news that our state's graduation rate ties for the nation's third best. As you know, this accomplishment did not happen by accident, nor did it happen overnight. The state of Texas has set the bar for a standard of excellence and our school districts, teachers, parents and students have worked together to meet the challenges of our rigorous standards," Gov. Perry said in his letter. "While we must continue to adhere to our state's accountability system, we must also recognize the importance of local control. That is why I am asking you to defer until the 2013-14 school year the requirement that an end-of-course assessment count as 15 percent of a student's final course grade." Additionally, the governor applauds Sen. Dan Patrick for filing legislation to permanently make the 15 percent grade provision a local option for school districts, citing the importance of giving them the discretion to enact changes at a level and pace that is right for them. Gov. Perry is committed to working with Sen. Patrick and lawmakers to making flexibility permanent. "Yesterday, I filed legislation that will permanently make the 15 percent grade provision a local option for school districts," said Sen. Dan Patrick. "This is about local control. The school districts, and the parents, should have a voice on whether the end of course exams should count towards a student's final grade." Texas State Rep. James White Files Amendment to Texas Constitution. Austin, TX-Today State Rep. James White Filed an Amendment to the Texas Constitution, The Legislation if passed would face 3 more challenges the first from the Texas Senate, Second the Voters of Texas, and then the United States Supreme Court. Rep.White grew up in Houston where he attended public schools. James graduated with honors from Prairie View A&M University with a degree in Political Science and Military Science and he completed doctoral studies in Political Science at the University of Houston. The United States Congress commissioned James as an officer of Infantry in the U.S. Army, where heat we are in served his country in assignments throughout the world, most notably from 1987-90 in the Berlin Brigade. Rep.White is proud to call Tyler County home, where he maintains a small cattle ranch. He has taught American government and free enterprise economics and coached football and basketball at Woodville High School. Additionally, Rep. White has taught government at Angelina College in Lufkin. Rep. White is a proud member of the Republican Caucus, the Tea Party Caucus, the Legislative Black Caucus, the Rural Caucus, the Manufacturing Caucus, and the Texas Conservative Coalition. In a Statement to a Local news station White stated the following. "We don't think another federal plan is going to be the solution." he went on to say "if big Federal plans or big plans out of Washington where the answer, we wouldn't be in the situation where we are now in health care". White wanted to emphasize that unlike a nullification bill, a constitutional measure is harder to challenge in court. And is less likely to be ruled unconstitutional. No one would lose the current health care coverage.